Bandai US Delivers a ‘Fusion’ Rainbow Mothra! New Images of Their 2012 Line! Its a Collector’s Update! – SKREEONK! 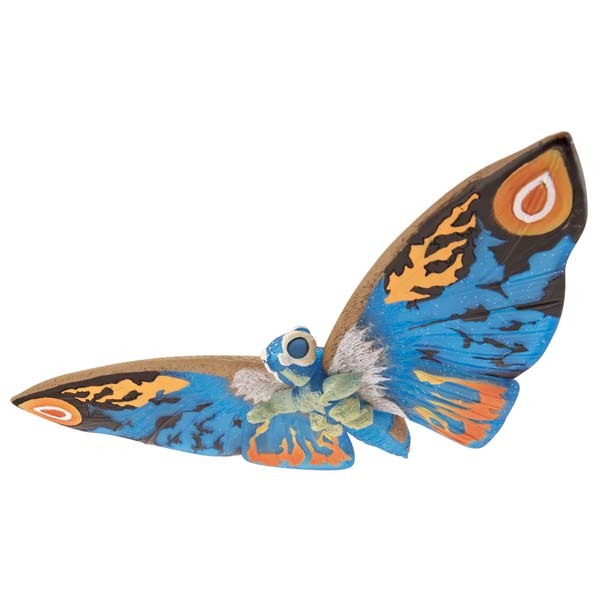 Bandai US Delivers a ‘Fusion’ Rainbow Mothra! New Images of Their 2012 Line! Its a Collector’s Update! Not too shabby, if I say so myself. And I do, indeed. I’m really digging the translucent blue on ol’ Leo. I’ve included a clear promo shot of each of Bandai’s new translucent figures, which are now being called the FUSION line (cue Dragonball Z pun here), as well as some new shots of the three figures in the Tokyo Vinyl line. 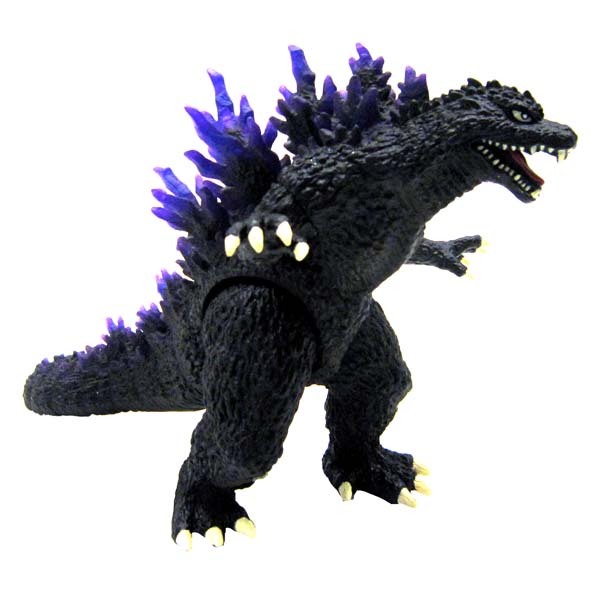 You’ll notice, however, that the previously seen Burning Godzilla translucent is strangely absent. UPDATE: The ‘Fusion’ Burning G may still be included in the line up, according to the product description on the main site. Only time will tell. 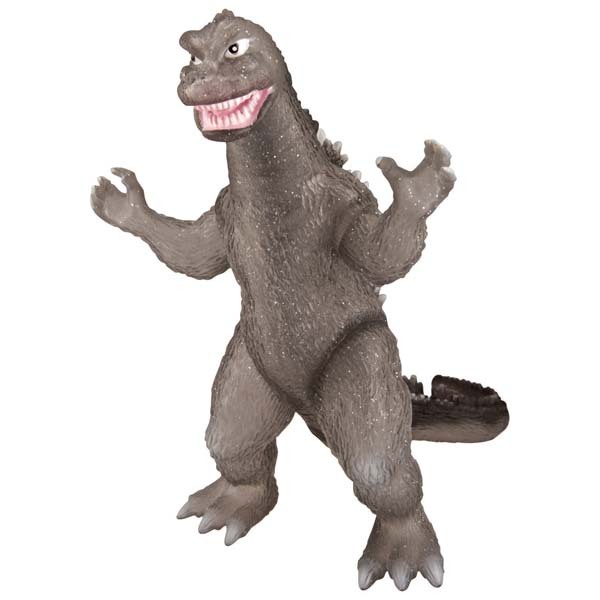 The 2012 series will also see the re-release of the standard versions of each of these figures below (G2000, Rainbow Mothra, Showa MechaG, Showa Gigan, and G’68) as well as the standard Burning Godzilla. 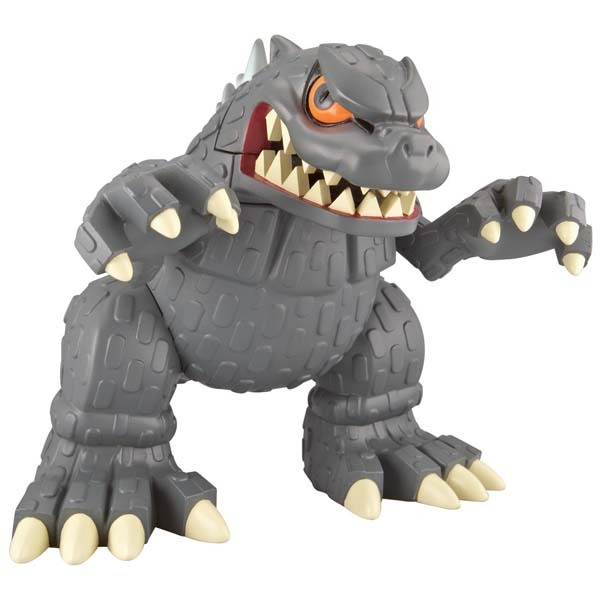 Out of the Tokyo Vinyls, the MechaG has proved to be the most popular with fans, while the Shinsei Godzilla is projected to sell the most. I honestly prefer the G’54 now that I’ve seen more photos of it, and I look forward to it’s release. Another interesting reveal is the G2000 directly below. 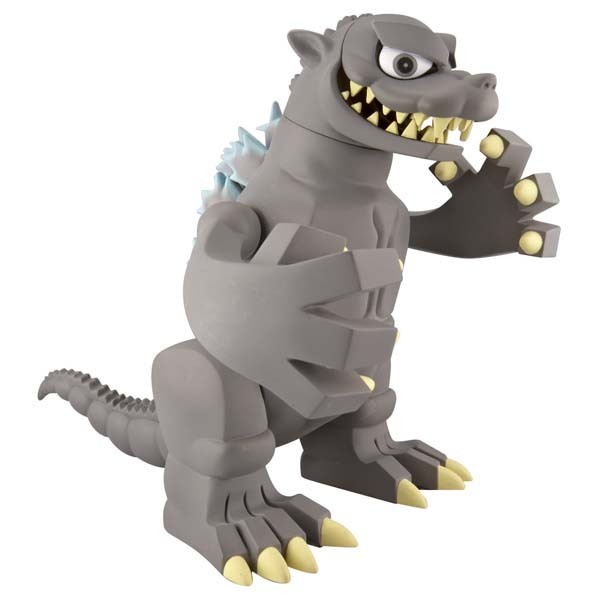 They prototype at the NYToyFair showed this version of Godzilla cast in the same dull grey translucent vinyl as the G’68 and MechaG. In the brand new promo below, however, we can see a vast improvement to the figure – with a sleek black design and a set of translucent violet spines that pop right out at you. Good call, Bandai. 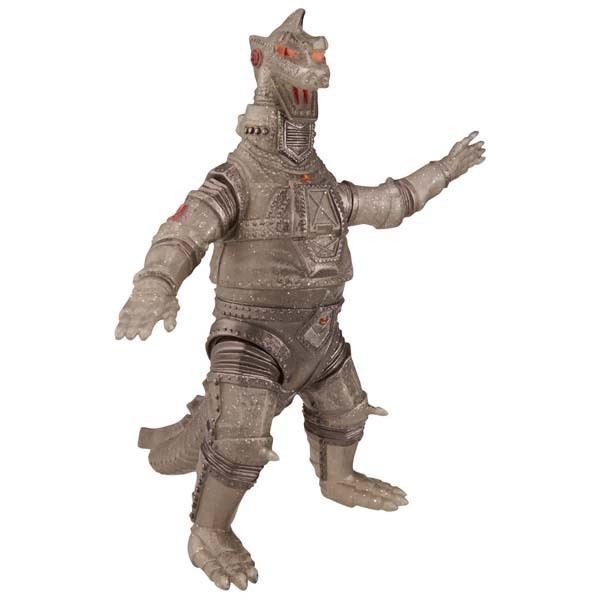 Both the Shinsei Godzilla and the Showa Mechagodzilla Tokyo Vinyls are already available in Toys R Us retailers and via their online website. 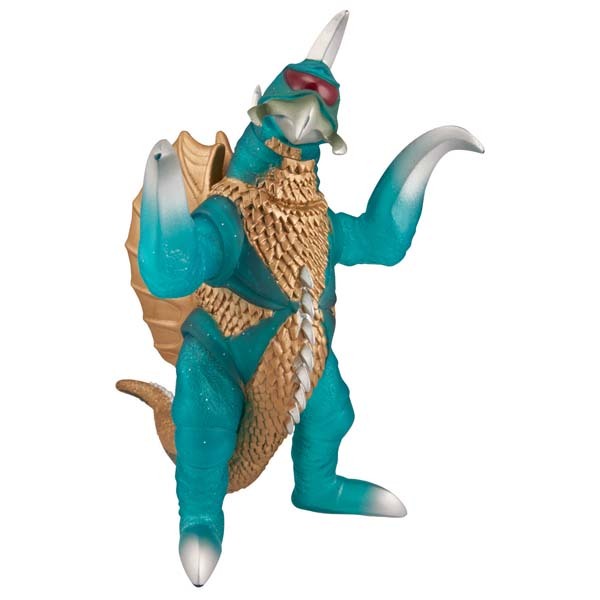 The Godzilla ’54 (first SD vinyl pictured) has yet to be seen in a retailer, but I’d venture to guess it will be released with the Fusion line very soon. You can visit the official Bandai US site by clicking HERE to check out their full gallery of over 20 promo shots. Keep an eye out, everyone! Until next time, true believers. Posted on March 13, 2012 1 By Jon D. B.	Collector's Update! Posted in Collector's Update! Pingback: Second Wave of Bandai Creation Fusion Figures Hit Shelves! « SKREEONK! Next Post Destroyah! Grand King Ghidorah! Zigra! 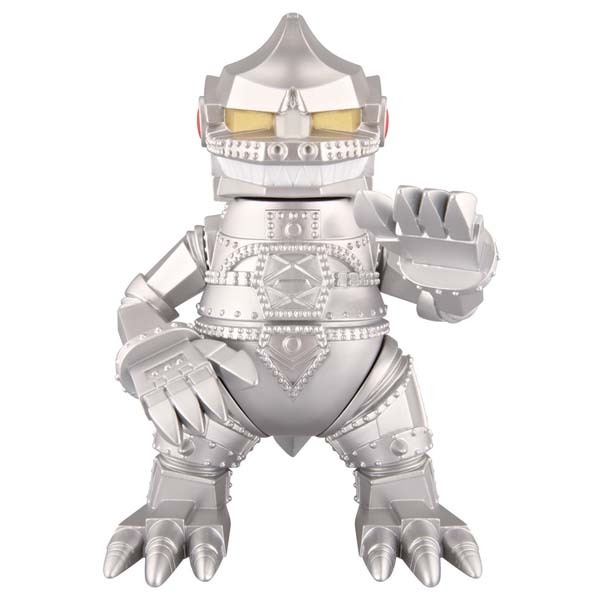 New Bandai Listings at the Kaiju Fan Marketplace! Previous Post Bandai Tokyo Vinyls Hit Shelves! Its a Collector’s Update!